Last year, a long time Elder faculty member retired after many, many years at Elder. Mr. Roger Auer called it a career at Elder in 2018… or so we thought. For the third quarter of the 2018-19 school year, Mr. Auer is filling in for Mr. Bell while he recovers from surgery. He, along with Mr. Brian Kelley, are temporarily filling Mr. Bell’s void. “If you need help, let me know,” is what Mr. Auer said to Dr. Tucker when he found out that Mr. Bell needed to leave Elder for a short period of time. “Because of my involvement on Saturdays, I still get the emails from Elder,” said Mr. Auer when I asked him how he found out about this potential opportunity. Mr. Auer teaches fifth period Catholic Morality to juniors and seventh period Catholic Themes in Media for juniors and seniors. Personally, I am in his fifth period class, so I asked him what his goals and duties are in Mr. Bell’s absence. He told me how he wants to continue to use as much of Mr. Bell’s stuff set up for class as possible. In addition, Mr. Auer told me that he will, by habit, incorporate information about human sexuality in his classes, due to the fact that he taught this subject for many years prior to retiring. He also still plays a big part in the Klusman Day of Service. Mr. Auer handed the reigns over to Mr. Kovacic as Campus Minister, but Mr. Auer was one of, if not the most important figure in planning this great day to honor a great man last year. 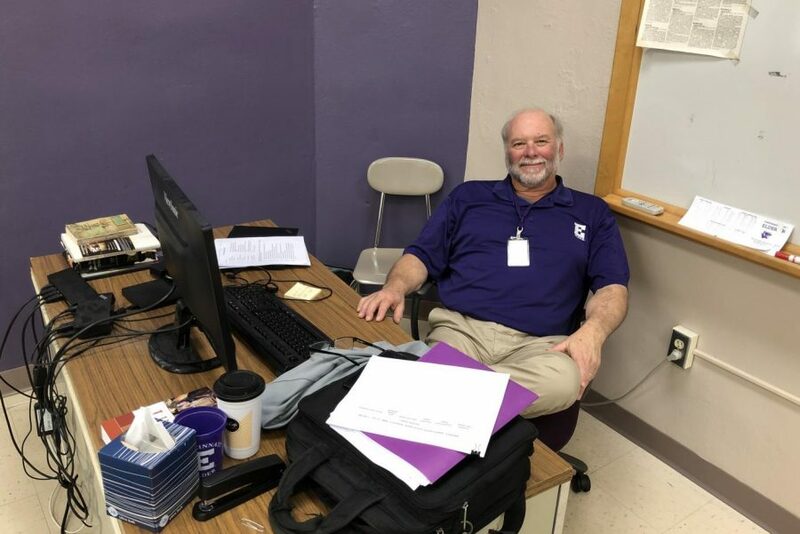 While Mr. Auer is not a permanent faculty member at Elder, he still remains a permanent leader and volunteer in the community, especially the Elder community. Mr. Auer is a weekly volunteer at the Mr. Klusman house on Seton Avenue. “The Klusman house will be hit hard,” said Mr. Auer when I talked to him about some of his extracurricular projects. Also, Mr. Auer is still heavily involved in the many cleanups that Elder volunteers to do in Price Hill and all over the area. Moreover, his community service extends beyond the Elder community. 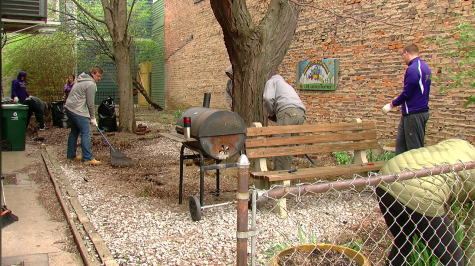 Mr. Auer is involved with a plethora of other local organizations such as Over-the-Rhine Community Housing (OTRCH), Keep Cincinnati Beautiful Inc., Western Wildlife Corridor, and others. Mr. Auer is still retired, however, and he talked to me about some of the upcoming events of his retirement. In mid-February of 2019, he will be hopping on a flight to Southern California to welcome his first grandson to the world. Also, Mr. Auer only teaches fifth and seventh period, so on days where we only have even periods scheduled, Mr. Auer doesn’t even have to come in. “It’s the big advantage of being retired,” said Mr. Auer. He has the freedom to make time for the important events in his life with his current schedule and retirement. Mr. Auer is happily retired, and he is very excited and grateful for this opportunity to come back to Elder for a brief period of time. “I’m fine being retired, but this is good too,” said Mr. Auer. All of us at Elder are more than happy to have Mr. Auer back on campus. Even if it is just for one quarter of the school year, everyone at Elder is thankful that an Elder great is back at the place he loves.